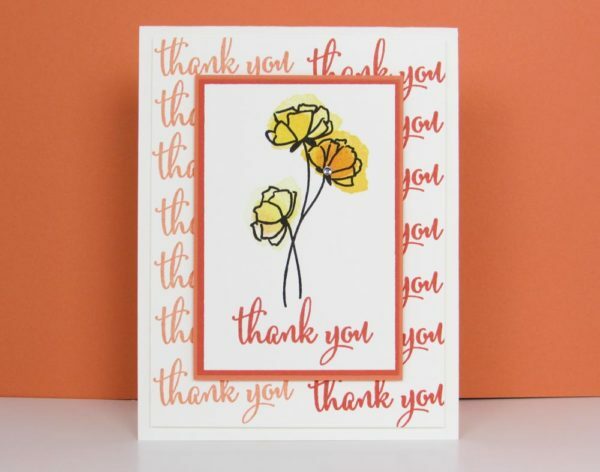 I had so much fun making these cards and using various color combinations together. I can’t decide which color combo I like the best. Lol!! I hope you enjoy my video tutorial and give this card a try. And don’t forget to download your FREE PDF Tutorial. Thanks for stopping by!! 1. Cut a 2-3/4″ x 4″ piece of Mint Macaron Cardstock. 2. Cut a 2-5/8″ x 3-7/8″ piece of Tranquil Tide Cardstock. Center and adhere this piece to the top of the Mint Macaron Cardstock. 3. Cut a 2-1/2″ x 3-3/4″ piece of Whisper White Cardstock. This piece is for your image. 4. Use Memento Black Ink to stamp your flower. 5. Use Tranquil Tide Ink to stamp your sentiment. 6. Use Grapefruit Grove and Pineapple Punch to add color to your flowers. Tip: Be sure to stamp off to get variation of color on your flowers. 7. Center and adhere your image to the top of the Tranquil Tide Cardstock. 8. Next, wrap Whisper White Bakers Twine around the matted image and tie a decorative bow. 9. Add dimensionals behind the Mint Macaron Cardstock. Center and adhere this piece to the top of your card. 10. To embellish your card add an Artisan Pearl. 3. First, Stamp “Thank You” down the left side of your cardstock. 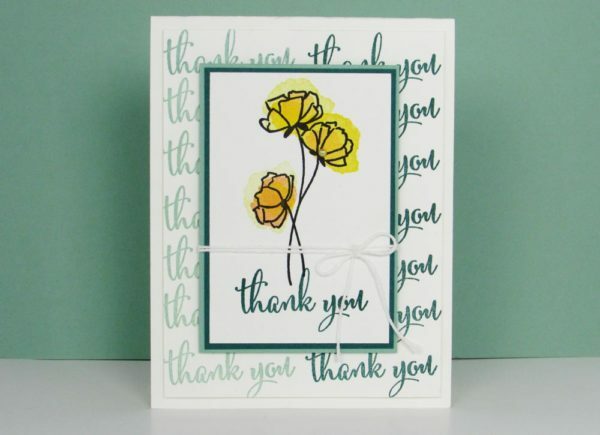 Clean your stamp and stamp “Thank You” along the right side of your cardstock using Tranquil Tide. 4. Add a few dimensionals behind your stamped background. Center and adhere this piece to your card base. I was wondering if STAMPINUP.COM carries alcohol inks. 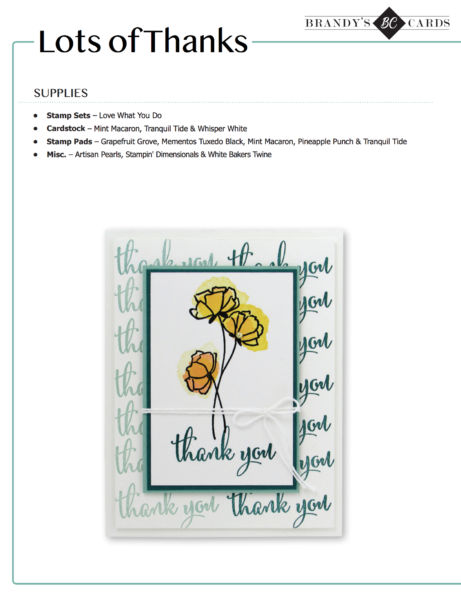 Hi Bonnie, Stampin Up carriers Alcohol Markers, but not alcohol inks. Hope this helps! Thanks Brandy for sharing I love them all! My favorite is your demo card, but the grapefruit & coral colors are extremely lovely. Hey Brandy, the color you are wearing makes you look like a teenager. Is that gray? It seems to be your color. Take care and thank you so much. Saw the video online. Very cute! Thanks for sharing. Great info. Just love, love your videos. Your personality is warm and sweet. Your are articulate and professional…..and I just may learn something! Thanks and God Bless. I loved all the colors you used, Brandy. So pretty and a very fast, simple card to make but it doesn’t look like it was. I like that! Great job ? Hi Brandy, I wanted to thank you for your hard work and for sharing “What you love”to do. 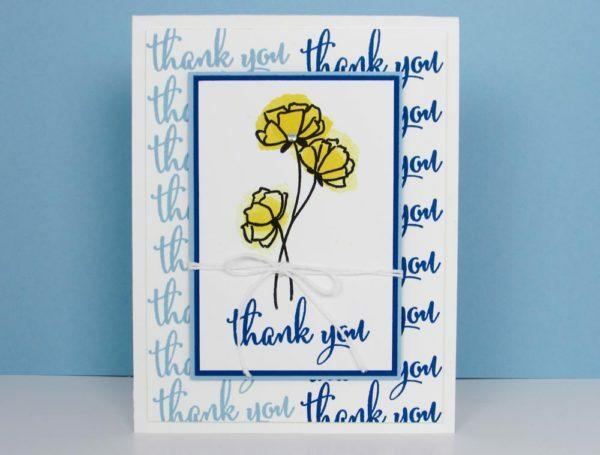 I CASed this thankyou card in different colours and love it. I am a hobby demo from Melbourne, Australia. I watch a lot of your videos and have learned heaps. Thank you so much. I would send you a photo but can’t find an email address.